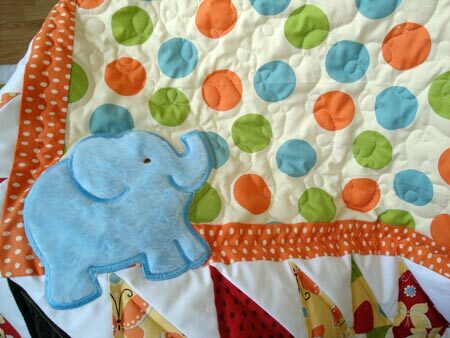 This little guy was too cute to not use to make yet another baby quilt. 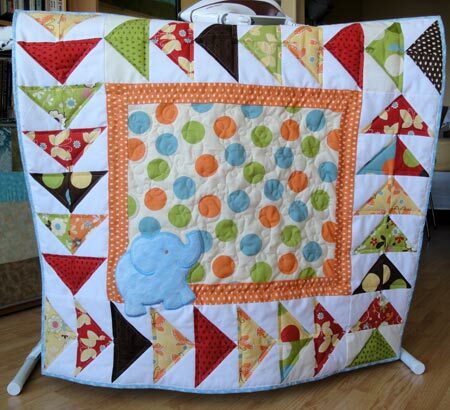 And because I'm on a bit of a French kick, I named this quilt using the French for "to play". My sophisticated quilt display: an ironing board and an iron to weight the top.